Bahujan Samaj Party (BSP) chief Mayawati on Saturday said the 'power hungry' Bharatiya Janata Party (BJP) led Central Government has crossed all limits to remain in power. Her statement came following the resignation of BSP MLC Thakur Jaiveer Singh as member of Uttar Pradesh's Upper House. She further said that for power the BJP is blatantly misusing the government machinery which is condemnable and has endangered the democracy of the country. 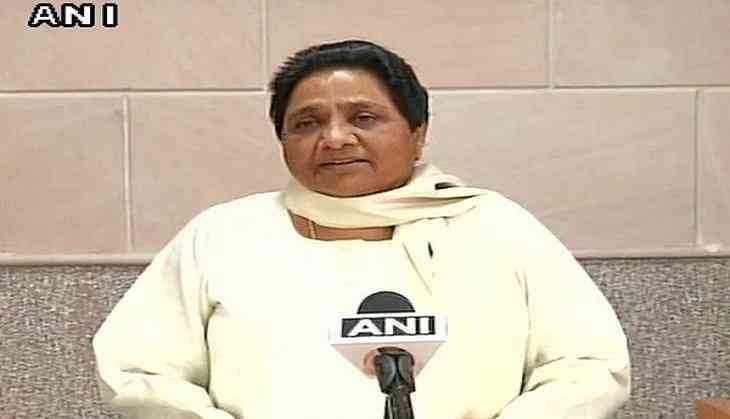 "The political turmoil in Manipur, Goa, Bihar, Gujarat and now in Uttar Pradesh are the evidence of the fact that Modi government has endangered the democracy of the nation," Mayawati said in a statement. "The BJP is misusing its power in Gujarat forcing MLAs to quit their parties. All the constitutional bodies are seems to be helpless in performing their work," she added. She further said that after forming government in Manipur and Goa, the BJP is trying to take over Bihar, Gujarat and Uttar Pradesh by using government agencies including CBI, Income Tax and ED to target the Opposition. "To deviate the mind of people from its wrong policies and corruption, the BJP is running a campaign to prove the Opposition leaders corrupt and tainted. This is very condemnable," she added. She further urged the Opposition parties and its leaders to fight back against the BJP's atrocities. "Instead of kneeling down and giving up before the BJP, the Opposition parties should fight back against its terror. By doing this only we can stop its arrogant, destructive and dictatorship actions," she said. Earlier in the day, Samajwadi Party MLC and Rashtriya Shia Samaj founder Bukkal Nawab also tendered their resignation, to which Akhilesh Yadav responded by attacking the BJP.